In Asia-Pacific, Amazon has the highest number of job openings in India, according to data on its website. There are almost three times as many openings here compared to that in China. Even outside Asia-Pacific and excluding home ground the US, only Germany appears to have about as many openings as India. Across different businesses and various roles, including technology, Amazon has almost 1,300 openings in India. China has 467 job openings and Japan 381. Australia and Singapore follow with 250 and 174, respectively. 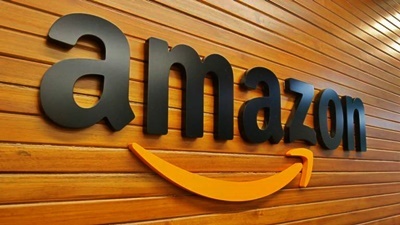 The company in India is said to be expanding significantly beyond its e-commerce and cloud business (AWS) into areas such as payments, content (Prime video), voice-assistant (Alexa), food retail and customer support. At the end of 2018, it directly employed over 60,000 people in India. That's about 10% of its global strength of 6.1 lakh employees. Most of the fresh hiring will be in Bengaluru, Hyderabad and Chennai. Industry sources said Amazon could use this employment generation to push its case in the ongoing policy discussion with the Centre. The recently announced clarifications by the government on FDI in e-commerce could force the Seattle-based e-tailing giant to significantly change its business model in India. The new rules, which seek to make e-commerce players into pure technology platforms, with little control over sellers on the platform, come into effect next month. A company spokeswoman said Amazon sees India as a strong talent location. Amazon teams in India, she said, work on complex business challenges to innovate and create effective solutions that enable various Amazon businesses - both in India as well as globally, including Amazon websites across the world - and also support payments, transportation, and digital products & services like the Kindle family of tablets, e-readers and the store. "With our constant growth, we are always looking for some exceptional talent across levels in areas of software development, product & marketing, machine learning, quality assurance, web development, product management, supply chain, content development, operations, studio & photography and for other positions in the India consumer business. We have created thousands of skilled and semi-skilled jobs in India over the past decade," she said.